James Masayoshi Mitose (born Masayoshi Mitose, (December 30, 1916 — March 26, 1981) was a Japanese American martial artist who brought the art of Kempo to the United States starting in the late 1930s. Mitose was and remains a controversial figure in the history of Kenpo in America. Many Kenpo teachers trace their lineage to him. He was convicted of murder and extortion in 1974 and sentenced to Folsom Prison. The actual circumstances around his martial arts training remain under scrutiny, but his practices contained marked similarities to Okinawan karate and Japanese jujutsu. Mitose might have had access to training in such arts in both Hawaii and Japan. James Masayoshi (Masakichi) Mitose was born in Kailua-Kona, North Kona District, Hawaii on December 30, 1916. On October 22, 1920, at the age of three, he was sent to Japan to be given formal education and upbringing with family living there. While there, in addition to his schoolwork and university studies, he trained in the art of Kenpo. He returned to the United States on February 25, 1937, arriving at Honolulu, Hawaii on the SS Tatsuta Maru at the age of 20. When the attack on Pearl Harbor happened, James Mitose enlisted in the National Guard. 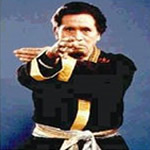 He spent most of the war teaching Kenpo in Hawaii, to prepare American civilians against a possible Japanese invasion. Michael Brown of Rhode Island Martial Arts claims to possess documents showing three families of James Mitose. The first family being from Mitose’s father’s side. This includes his father, Otokichi Mitose and Otokichi’s parents, Kaheiji Mitose, and Kano Kawakami Mitose. The second family, from Mitose’s mother’s side, includes his mother Kiyoka Yoshida Mitose and Kiyoka’s biological father, Sakuhei Yoshida. Sakuhei Yoshida was married to a woman who was not Kiyoka’s biological mother. Sakuhei Yoshida conceived Kiyoka Yoshida Mitose with a woman outside of his marriage named Toju Kosho. James Mitose would learn Kosho-ryū from the family of Toju Kosho. It is worthwhile to note that on Mitose’s parents’ record of marriage, Kiyoka Yoshida Mitose’s mother is not named as Toju Kosho. Instead the name Toju Unknown occupies this position of the document. To his students and in the book, What is True Self-Defense?, Mitose described his teachings as those of Japanese style. In the book, Mitose describes methods similar to yoga and the tai sabaki principles found in many Japanese arts. The evidence of What Is Self Defense? and accounts and photos strongly suggest, however he got it, Mitose had a background in an Okinawan style. Some modern proponents of Kosho Shōrei-ryū believe that he used an Okinawan art as a vehicle for his teaching of a native Japanese art. The contents of What Is Self Defense? seem to echo those of an earlier book: Karate Kenpo by Mutsu Mizuho (1933). This includes the arrangement of diagrams and photographs; in one case, a photo (of Higaonna Kamesuke) is reproduced entirely. The earlier book contains the forms Passai-sho, Kushanku-sho, Niseishi, Chinte and Gojūshiho along with the 15 kata which Gichin Funakoshi introduced in his books. The versions are very similar to those found in Shotokan. Mitose’s book also includes a picture of Motobu Chōki, reproduced from Motobu’s book, in a position that usually indicates a student acknowledging his teacher. It is from here that some assume that Mitose was acknowledging Motobu as his teacher. Mitose listed Motobu as a Kenpo master in his book. Mitose is known to have taught only one Kata at his school: the Naihanchi Kata, which also was Motobu Chōki’s primary form and the only one featured in Motubu’s second book Okinawan Kenpo Kumite Hen. Mitose also taught the use of the Makiwara, a signature Okinawan training method. Okinawans had a thriving community in Hawaii, including martial arts training. Higaonna Kamesuke stayed in Hawaii after 1933 with Thomas Miyashiro, and taught classes in Kona. Higaonna had studied under Mutsu and Motobu, and taught Karate Kenpo in Mitose’s home town of Kona just a few years before Mitose opened his school, although Mitose was still in Japan at the time. Mitose ultimately called his style Kosho Shorei-ryū Kenpo, which can translate to “Old Pine Tree School of Encouragement”. Bushi Matsumura’s style, which he taught to Ankō Itosu who taught it to Gichin Funakoshi and Motobu Chōki among others, was Okinawan “Shōrin-ryū”, which is often translated as “Little Pine Forest”. In his early days in Hawaii, when Mitose started teaching after the bombing of Pearl Harbor, he called his art simply Kenpo-jujitsu (Nerve Strike method) and would refer to it as Shorinji Kempo or Go shin jitsu. The word “Shorin” is characteristic of styles from Okinawa, although Shorinji Kempo is a Japanese art founded by Doshin So. Mitose claimed that he learned martial arts and religion in a Buddhist temple, but his descriptions of organization and practices of the temple do not match those practiced by mainstream Japanese Buddhism. It is possible that Mitose came from a heterodox background. Mitose often dressed as a Christian minister. In “What Is True Self Defense?” he stated that one should practice the dominant religion of whatever country one is in, including its application to martial arts and spiritual practices. The description or lineage Mitose gave for his style also emphasized its Chinese roots. As a Japanese-American emigrating to Hawaii in 1937, he might have prudently downplayed the Japanese side of his background. In 1953, James Mitose ceased teaching Kenpo regularly and dropped out of sight. He privately taught a few students in that time, including Nimr Hassan (formerly Terry Lee). However, in 1974 Mitose was arrested in Los Angeles and convicted on murder and extortion charges stemming from a conflict from repayment over a loan and the murder committed by Hassan. During the case there was conflicting testimony and the court admitted that the Japanese testimony had not been accurately translated. James Mitose was sentenced to life in prison and died in Folsom State Prison of complications of diabetes on March 26, 1981. While in prison, he taught and ranked his son Thomas Barro Mitose, as well as Bruce Juchnik, Rick Alemany, Ray Arquilla, Eugene Sedeno and Arnold Golub. In “What is True Self Defense?”, he acknowledges Arnold Golub as “Honorable Headmaster” and the other four men as “Honorable Masters.” To his son, he gives the title “Honorable Grandmaster. (Page VII, Mitose, J. “What is True Self Defense? Textbook Number 1″, Kosho Shorei Publishing, Sacramento, CA) He maintained his innocence to his death and many schools which follow in his training lineage still maintain that he was wrongfully convicted. The details of this incident remain controversial in the martial arts community. By the time of his death, Kenpo had been widely spread throughout the United States and western world. Almost all Kempo schools outside of Japan trace their lineage to the teachings of James Mitose, via William K.S. Chow, Adriano Directo Emperado, Edmund K. Parker, Sr., S. George Pesare and Tracy Kenpo. Although he learned kenpo in Hawaii and knew of Mitose, Ed Parker was never a direct student of James Mitose. According to Infinite Insights into Kenpo Volume 1, Parker stated: “Contrary to some of the claims that have been made in publications, I was never a student of James Mitose.” Parker trained under Chow, and came to know Mitose when he moved to California. By that time, he was already moving away from the kenpo that William Chow had taught him. William K S Chow was born in Honolulu, Hawaii, in 1914. He spent most of his life practicing and perfecting his martial arts; usually on the streets of Hawaii. He had the ability to remember every technique he had learned. William Chow was also known as “Thunderbolt” because of his incredible speed and power. It has been said by many that besides his Kenpo training with James Mitose, he also trained in Kung-fu. But no one can seem to verify this. One thing to note, Kung-fu, as many of you may know, derives its self-defense techniques from its forms (kata). William Chow never taught any Kung-fu forms. One of Mr. Chow’s students, Ed Parker, went on to bring Kenpo to the mainland and to become largest contributor to modern Kenpo and the martial arts in general. Mr. Ed Parker was the foremost authority and instructor of Kenpo Karate in the United States and was known worldwide as "Mr. Karate". He was the "Founder of American Kenpo", the president and founder of the Ed Parker Kenpo Karate Studio chain, as well as the International Kenpo Karate Association. He was the Father of American Karate having originated the first American version of Karate. He commenced teaching professionally in Provo, Utah in 1954. He opened his first professional Karate studio in the United States in Pasadena, California in 1956. He appeared in dozens of movies and television shows, including Revenge of the Pink Panther and The Curse of the Pink Panther. In addition, he taught Karate to nearly every big name actor and actress in Hollywood -- including, Robert Culp, Joey Bishop, Jose Ferrar, Rick Jason, Nick Adams, Frank Lovejoy, Robert Wagner, Elvis Presley, Natalie Wood and Elke Sommer, to name a few. He was also been a technical advisor for motion pictures and T.V. Mr. Parker was well known for his exciting demonstrations at: high schools, colleges, civic clubs, clinics, tournaments, church groups, youth groups, etc. He was a highly sought-after speaker and his Karate demonstrations are famous in the United States and worldwide. He was in great demand throughout the world to put on his blinding demonstrations of speed, skill and power along with his picturesque analogies when explaining the Art so all can understand. He frequently travelled giving Seminars and Demonstrations in Australia, England, Spain, Ireland, Chile, Venezuela, and Greece and has many worldwide government officials as his students. Throughout the years Mr. Parker authored many books: Basic Karate Book, Kenpo Karate, The Women's Guide to Self Defence, Secrets of Chinese Karate, A Guide to Law Enforcement, Home Study Karate Workshop Course, A Guide To The Nunchaku, Infinite Insights into Kenpo (Volumes 1-5), The Zen Of Kenpo, Kenpo In The Streets, Speak With A Knife, Speak With A Club, Everyday Gestures That Can Save Your Life, Answers To Multiple Attacks On The Street, Inside Elvis, Accumulative Journals (Yellow - 5th Black), and his revolutionary Encyclopaedia of Kenpo. Instructional videotapes are also products of his endeavours to enlighten others of the merits of Kenpo. He was a graduate of Kamehameha High School (1949), Honolulu, Hawaii where he was born and raised. Mr. Parker has a B.S. Degree from Brigham Young University (1956) with a Major in Sociology and Psychology, and a Minor in Political Science. Mr. Parker founded the world's largest and foremost Karate tournament, the International Karate Championships in Long Beach, California. 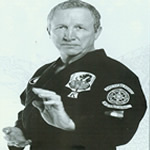 Mr. Parker was also a consultant and advisor to numerous other Karate tournaments worldwide. Mr. Parker's uniqueness rests in his continuous efforts to combat traditional restrictions binding progressive thinking. He was truly a creative genius because of his incredible ability to discover the problems within the Martial Arts. His contributions and innovations are endless; encompassing logic and reasoning not yet employed by others. His four decades of experience, contributions, and endeavours establish him as the Master of our system, the author of our training material, and the final voice of approval. In 1990 Grand Master Ed Parker was untimely taken from this world and his many thousands of students around the world mourn his passing. Master McSweeney introduced Karate to Ireland and to England through his teaching. Kenpo Karate arrived in the U.K. by the most unlikely route when an Irish student who had studied the art of Kenpo in Dublin under one of the late Grand Master Ed Parker's Black Belts, a Mr John McSweeney. chose to settle in Swindon in 1966. He joined forces with Peter Presswell, Martin Sleeman and Phil Haggerty, to form the first U.K. Kenpo Karate Club. This club later affiliated itself to Wado Ryu, at which time Phil Haggerty who had reached 1st Kyu Brown Belt moved to Landrake in Cornwall, and set up a small village club, clung steadfastly to the Kenpo Style. The first certificate issued by the IKKA was to John McSweeney, as Shodan, dated September 27, 1962. However, Chuck Sullivan, who was secretary of the IKKA was promoted to "First Degree Black Belt" about two weeks earlier in September, 1962, and received a KKAA certificate. Likewise, Dave Hebler, who was promoted to Shodan in October 1962 received a KKAA certificate, as did Sterling Peacock, Steve Fox who were promoted the following year. And Ralph Castro recalls that Ed Parker had sent Will Tracy to talk to him about joining the IKKA in December 1963. John McSweeney (Ed Parker's 8 Shodan) had gone to Ireland in December 1962, and opened a school there the following year. 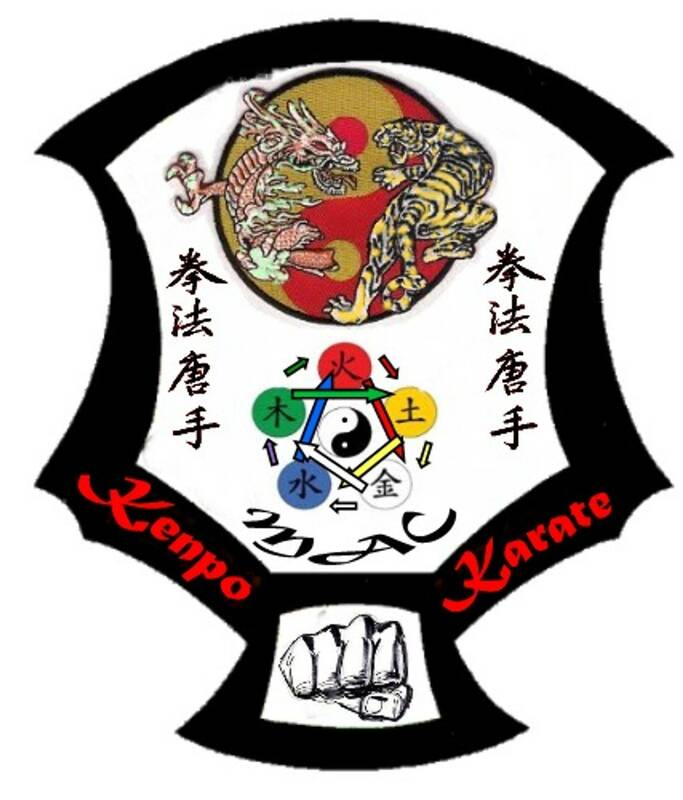 The Kenpo Karate Association of America was not a name the Irish cared for, and John wanted an organization that was truly international.WHITE TIGER KENPO KARATE - The art of Master John McSweeney (10th degree) and Thomas Saviano (5th degree). White Tiger springs from the training of Mr. Saviano and Mr McSweeney. Mr McSweeney was first introduced to martial arts through the military and he trained in Judo at the Kodokan in Tokyo (1952). After returning state-side, he was introduced to Ed Parker and began training with him in 1959. Through Mr Parker, he also trained with many Kung Fu stylists, such as Jimmy Woo (Parker's assistant for some time) and James Lee (Bruce Lee's future training partner). Mr McSweeney trained in both Parker's Kenpo and White Crane Kung Fu (under Woo). He received his black belt from Mr. Parker in 1962. This combined with many street confrontations, turned into Mr McSweeney's style. 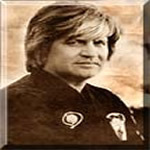 Maurice Mahon 10th Degree Kenpo Karate Master Instructor was born in the Rathmines area of the city in Dublin 1945. He is the European Director for the American Kenpo International & Chief Instructor to the AKI European and Irish branch. He began his Martial Arts training in the Art of KENPO KARATE in 1963 at the Fitzwilliam Square Kenpo club run by Mr. John McSweeney. Maurice has 45yrs experience in the martial arts was a great friend of the Late Grandmaster Mr. John McSweeney. Jim was born in January 1950. He started training in Kenpo Karate in 1976 in the Rathmines Kenpo Karate in Dublin. His Instructor was Sensei Maurice Mahon. On achieving his Black belt he brought Kenpo Karate to the midlands for the first time ever. He set his club up in Tullamore Co. Offaly and this new style in the midlands drew many martial artists from other styles into its dojo. Many of those old traditional karate students preferred Kenpo and decided to dedicate their trainig time to it. JIm invited many senior Kenpo black belt instructors into his club to administer occasional training sessions and he also carried out his senior grading exams for his students with other senior Black belt instructors from outside of his own club. In Jims time with the Tullamore club there was a number of his students graded to the rank of Black Belt. Joe was born in 1962. Sporting activities played a very important part in his life development. He holds various county and provincial titles in racket sports. From a coaching aspect he looked after under 18 county teams for a number of years and as he coached these teams his interest in Martial arts developed even more, as he felt the Mental aspect of the sports he was coaching, was being neglected. To aid his mental aspect he joined the Karate Association of Ireland (KAI) Wado Ryu Club in Mullingar back in 1978. The club was being run by Patrick Doyle from Bray. In the number of years Joe trained here he successfully competed in team and individual tournaments. In May 1983 he received his 1st Dan Wado Ryu Black Belt grade. He started up his first club at this stage and became more involved in other martial arts. 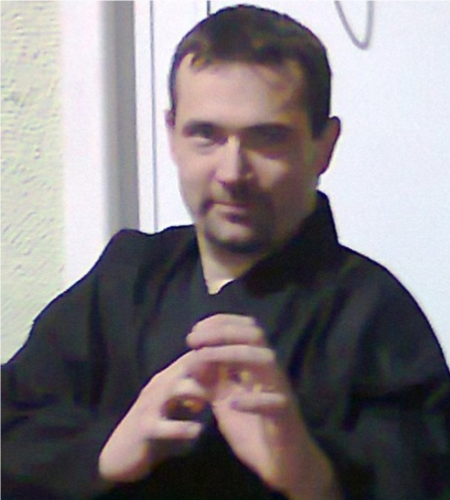 He trained in Shotokan, Mugendo and Kyusho Jutsu. In 1985 he was introduced to Traditional Kenpo Karate. The Sensei was Jim Keating. Joe continued training in the Kenpo system and successfully obtained his 1st Dan Kenpo Black Belt in 1989. At this stage of his training he was introduced to Alan Norris World Kenpo Karate Association (WKKA). 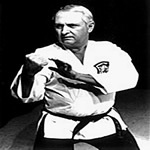 Sensei Norris performed a number of grading classes for Joe’s students for a number of years. Then Joe decided to develop his Kenpo style and introduce the destructive theory of the five elements from a Chinese medicine point of view. Kyusho Jutsu actually utilises the forms to practice the hidden secrets behind the forms. As part of MAC Kenpo Karate grading it is now essential that the higher grade students understand the yin yang philosophy and the five element theory surrounding our Kenpo forms. Joe is a qualified Traditional Chinese Acupuncturist and this is where his desire to explore the secret or indeed the mis-understood moves that were performed in each form. Some of Joe’s training comes from George Dillman seminars as George is a leading exponent in pressure point fighting and hidden Kata techniques. Pressure point activation and de-activation has been demonstrated by Joe at various Martial Arts Demonstrations. As a result of his philosophy of "Body Mind and Spirit is essential in everything you do in life" (including training/sports) he finds the mental and energetic theory of traditional Chinese medicine fits in wonderfully well to the body (physical) aspect of Kenpo Martial arts. From a tournament point of view Joe has participated at national and international level with many victories from the sparring point of view both individual and team. Unbelievably from a Form / Patterns / Katas point of view he has won over 80% of his tournaments and never in his carreer finished outside of the top 3 places in any tournament that he participated in. Hence forms from an actual energetic point of view is being promoted by Joe in the MAC Kenpo Karate Association. 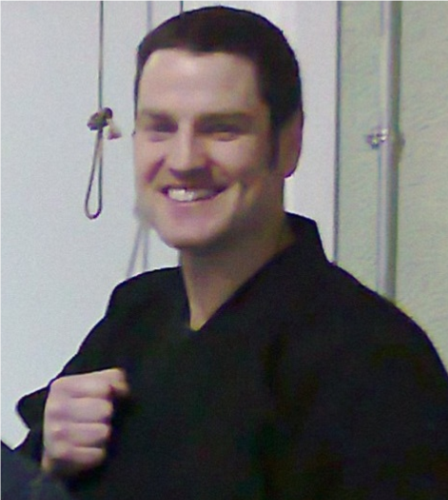 Aidan has studied martial arts for 22years and has focused specifically on Kenpo over these years. He has trained under Sensei Joe McCormack through out this time and is one of only two students to achieve the coveted BLACK BELT in MAC Kenpo Karate. He is currently working on his 2nd Dan. At 11years of age Aidan started boxing with Mr Sean Davy. With the Kilbeggan boxing club he boxed for 2years before he started with MAC Kenpo Karate. He found he had more of an interest in martial arts and stayed with Kenpo from that day to this day. Aidan also competed in other areas of sport , Gaelic Football , Hurling, Soccer, Community Games & Physical Fitness. At fifteen Aidan found an interest in weights and at nineteen joined Energy Gym in Tullamore for six years he trained in body building, experiencing different types of training methods and diets from bulk to rip diets. At twenty six Aidan joined a team that competed around Ireland in Triathlons, Duathlons, Cycling and Endurance Competitions. He changed his training methods to endurance , running & cycling with circuit training to increase his speed and power. For five years he competed in competitions such as The Wicklow way , The cross Border Challenge , Four Peaks Challenge & 10K & 5K road races all around the country , Wicklow Endurance Challenge , The Pat Coulghan 100k Bike Race , Marie Keating Bike Race and the Connemara Marathon. During all these years Kenpo Karate was the constant activity that allowed him to maintain a disciplined mind and a strong focus to train and achieve his goals in the competitions he entered. 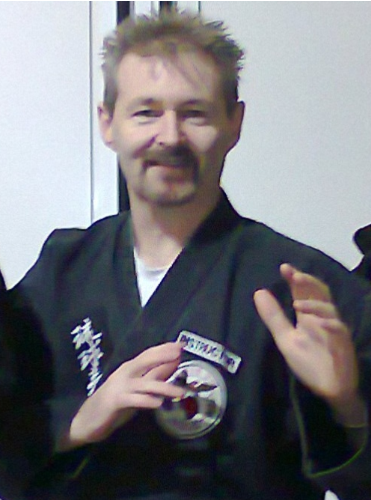 Trevor started studying MAC Kenpo in 1988 in Kilbeggan under Sensei Joe McCormack. During the early years Trevor trained in Kilbeggan, Daingean and Clara. The training was two hour duration, three nights a week. Giving a good foundation to build on. 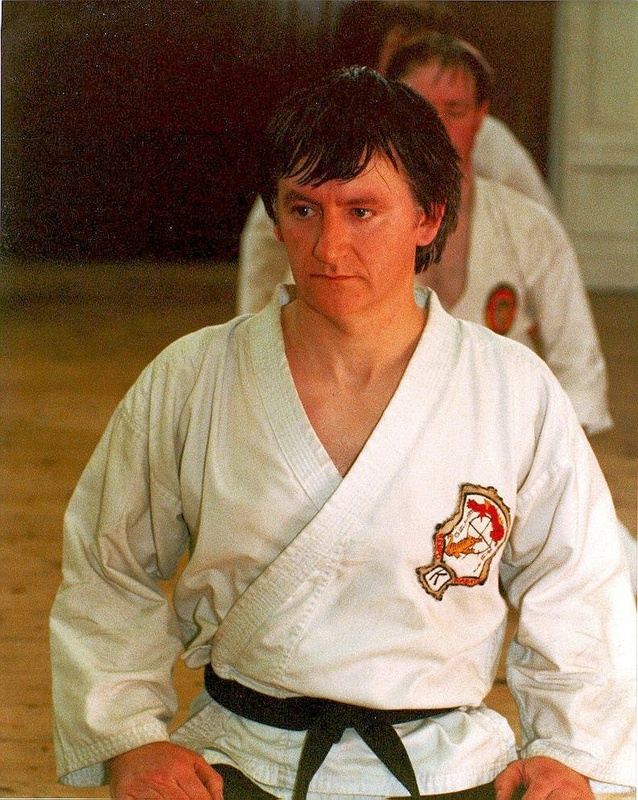 The training was well rewarded in 1991 when at 16 years old Trevor won many U18 sparring and Kata competitions that year which culminated in the Kilbeggan Sports Star of the Year Award. Trevor moved to Dublin for 5 years in 1995 to study Engineering during this time he continued his training in the Kenpo club on Saturday mornings in Tullamore with Patsy Gorman as travelling down for midweek training was not possible. During this period Trevor also studied Aikido for two years in the Whitefriar Aikido Club under Mr. Brendan Dowling. Trevor continues to be involved with the Kilbeggan Tennis Club where he still gives lessons during the Summer period. Trevor is currently working on obtaining his 2nd Dan in MAC Kenpo Karate and is a club Instructor in the Kilbeggan Club. Trevor believes that MAC Kenpo Karate training gives you confidence and control over your body. It helps you to excel in other areas of sport and in even in employment. Copyright ©2011 MAC Kenpo Karate Club.